It's hard to create something when you haven't tasted it before. In a bowl, mix cinnamon with crumbed walnuts. Set aside. 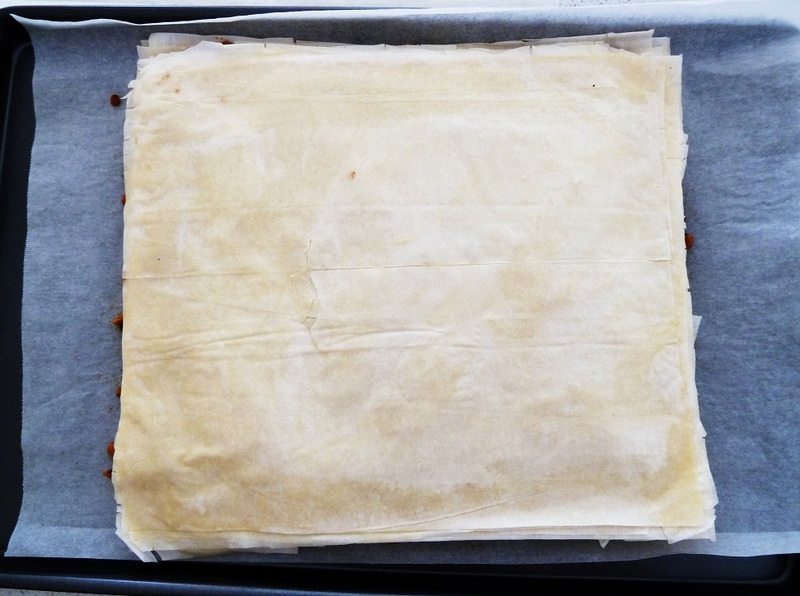 Lay a baking pan with baking paper. 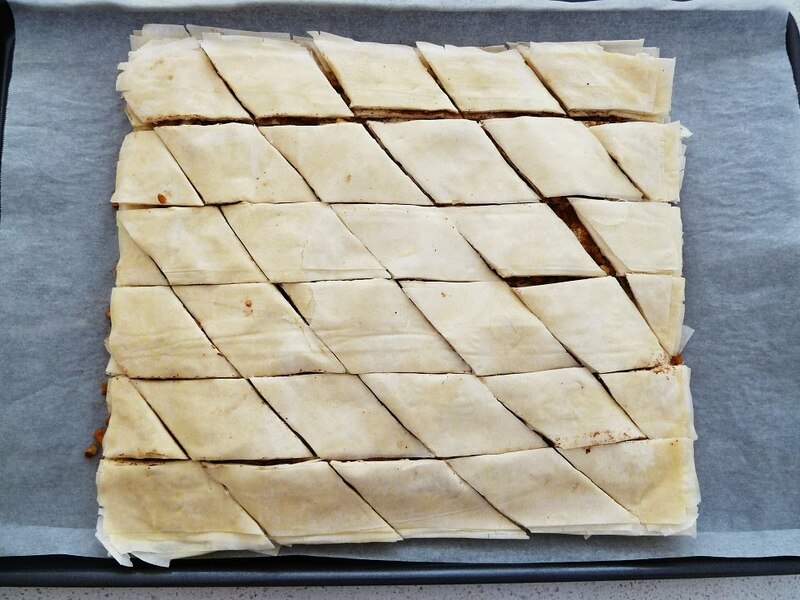 Brush a half a sheet of filo pastry with butter. Fold unbrushed half over brushed half. Brush top of halved filo with butter. 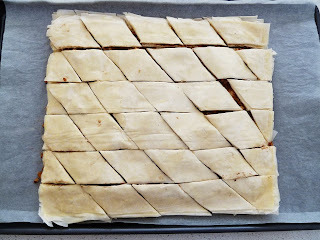 Align another half sheet of filo pastry over the top and repeat. Do this for 4 sheets (you will have 8 folded layers). Spoon cinnamon walnut mixture onto the buttered filo pastry. 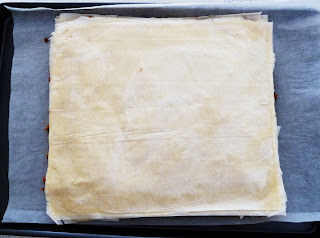 Apply another 4 sheets (8 folded layers as per previous instructions) on top to create another layer and sprinkle more mixture on top. 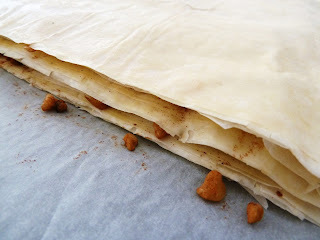 Keep doing this until you have 4 layers of walnut mixture. Brush the very top of the pastry with butter, then cut into diamonds. Bake for 15-20min or until golden brown. While the baklava is baking, make the syrup. Boil water, sugar and honey on medium heat for a few minutes before turning down to low and allowing all sugar to dissolve. 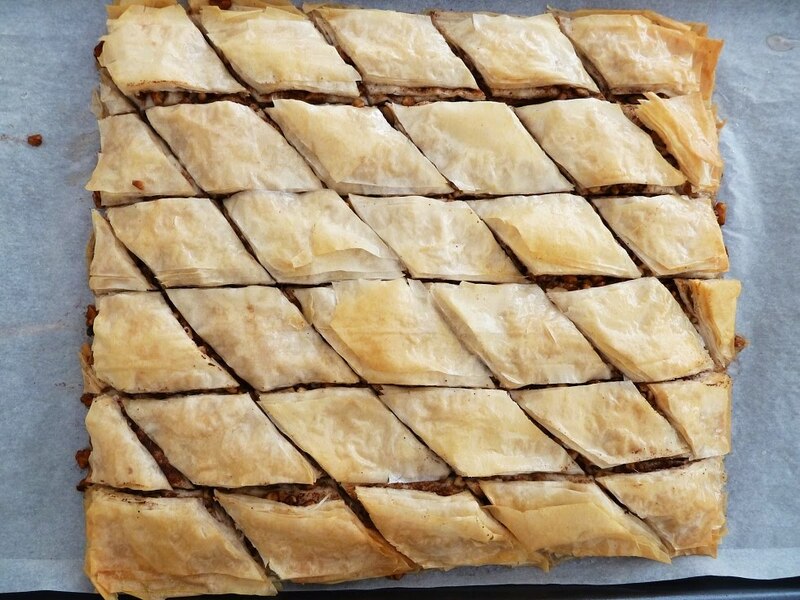 Keep it on low heat until your baklava is ready. 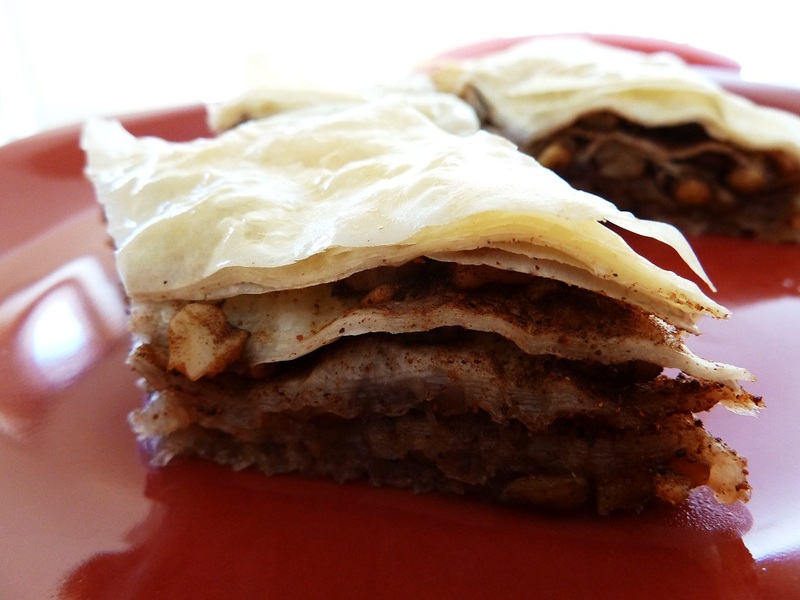 Remove baklava from pan and carefully pour the syrup over the top. 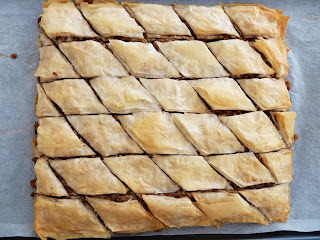 Put the baklava back into the oven for another 5mins or so.